Williamson-Powell International Films. 1966. Director: Michael Powell. Music Lawrence Leonard, Alan Boustead. 45 (ST) Columbia. DO-4711. 1966. 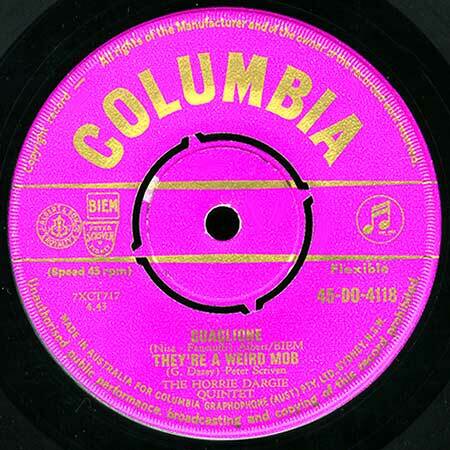 Side a: “They’re A Weird Mob”. (2:20). (G. Dasey). (Halford Music). v: Johnny Ashcroft. 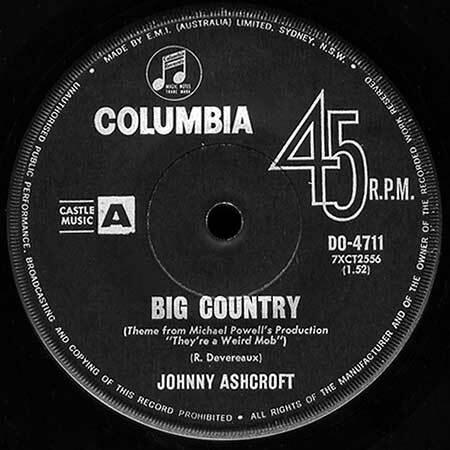 Side b: “Big Country”. (1:52). (R. Devereaux). (Halford Music). 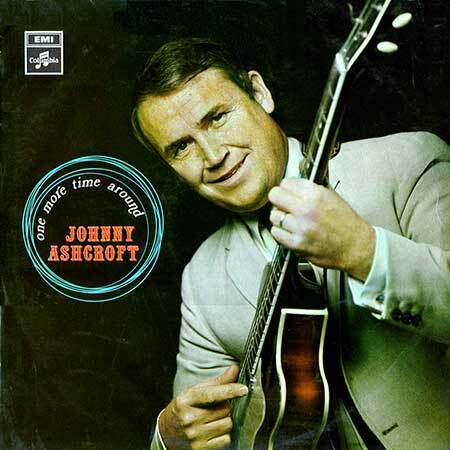 v: Johnny Ashcroft. 45(a)	(IN)	Bell. BS-201. (Picture sleeve). This version was inspired by the Nino Culotta novel. Flutes: Noel Smith, Don Burrows. Clarinet: Don Burrows. Bass: George Thompson. Vibraphone and Drums: John Sangster. Piano: Graham Bell. “They’re A Weird Mob”. (George Dasey). (Scriven). v: Johnny Ashcroft. With Orchestra under the direction of Graeme Bell. “They’re A Weird Mob”. Horrie Dargie Quintet. LP(t) (AD) M7. LAC-003. 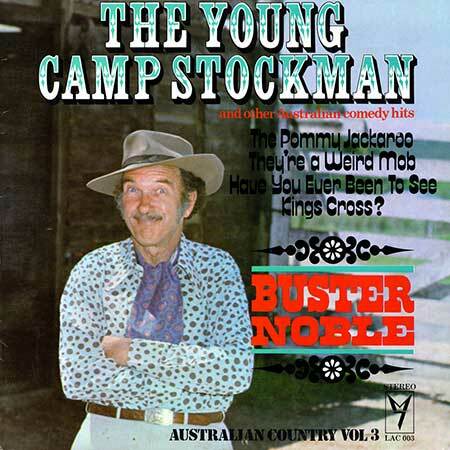 “AUSTRALIAN COUNTRY ALBUM VOL.3 - THE YOUNG CAMP STOCKMAN”. S1-Tk4 “They’re A Weird Mob”. (2:00). (Dasey). (Halford Music). v: Buster Noble. 45(b) (AD) M7 (Australian Country). SAC-011. 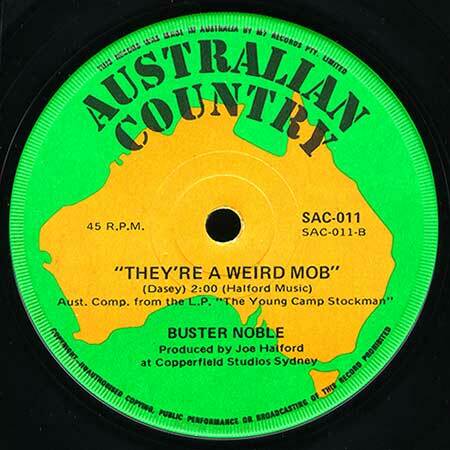 Produced by Joe Halford at Copperfield Studios Sydney. Engineer: John Francis. 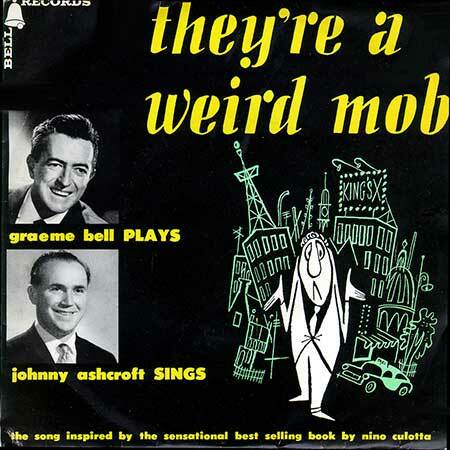 “They’re A Weird Mob”. (2:00). (Dasey). (Halford Music). v: Buster Noble. LP(t) (AD) Columbia. 33-OSX-7612. (m). 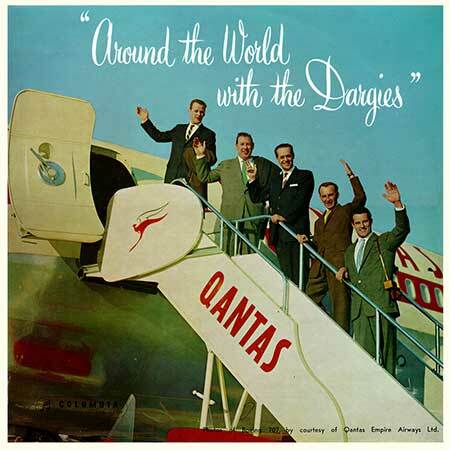 “AROUND THE WORLD WITH THE DARGIES”. S2-Tk5b “They’re A Weird Mob”. (Dasey). (Scriven). The Horrie Dargie Quintet. LP(t) (AD) Columbia. OEX-9442. (m). “ONE MORE TIME AROUND”. S2-Tk4 “They’re A Weird Mob”. (Dasey). (Halford). v: Johnny Ashcroft. “They’re A Weird Mob”. Warren Carr piano.